Relaxing in the sunshine, getting a sun tan, having a place reserved for you and your family: a private beach is perfect for those who love to have a holiday completely free of stress, to get full enjoyment from the peacefulness of the seaside, and to have at their disposal comfortable sun loungers, beach umbrellas to shade them from the Mediterranean sun, deck-chairs, complete with little tables and a bar nearby. Spend your summer in San Remo, pampered by the services offered by the hotels listed on Sanremo Hotels. 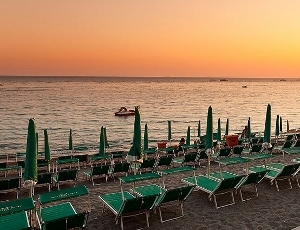 Book a holiday online right away to ensure your place in the sun on the splendid Ligurian Riviera.